I was involved in a fairly lively discussion with several people on StockTwits concerning CEFs and performance and discount/premium to NAV, etc. So, I took a nap. Hey, I’m retired, it’s what I do. This got me thinking, which is something you never want to do. 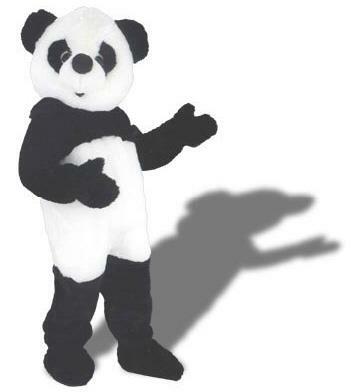 I’m a bear, albeit a PandA bear, and you know what they say about poking a sleeping bear, right? However, I prefer the phrase; Draco dormiens nunquam titillandus. I should probably warn you; DO NOT TRY THIS AT HOME! So, I came away with a list of 51 CEFs using yesterday’s data and the above criteria. I decided to chart it out on stockcharts.com over a roughly 5 year period showing total performance (price performance plus dividends). So, I chose 1265 days which is 253 days times 5. That’s, uh, roughly 5 years in trading days. Then, I cherry-picked CEFs that had gained more than 110% over those 5 years. The actual results range between 114.85% and 154.97%! You can run the chart yourself using this link. So does this mean you should run out and buy these CEFS? OF COURSE NOT! NEVER buy anything based solely on what you read on my blog, because I am wholly unqualified to advise anyone in matters of finance and/or investing. I’m just a guy, trying to eke out a living from dividends. I write about my success and failure on my blog. I just thought it was interesting, and I will be doing some further due diligence on these in the near future. I suggest you always do your own due diligence!